Africa: Lesotho's interparty talks: more turbulence ahead? Lesotho's interparty talks: more turbulence ahead? After nearly three rounds of interparty talks between Lesotho’s government coalition partners – the All Basotho Convention (ABC), the Lesotho Congress for Democracy (LCD) and the Basotho National Party (BNP) – a fallout between the parties seems imminent. The three parties had formed a coalition government after the May 2012 general elections failed to produce an outright winner. The ABC is the dominant party in the coalition government with 30 seats, the LDC with 26 and the BNP with five in the country’s 120-seat parliament. The main opposition – the Democratic Congress (DC) – has 48 seats, with the remaining 11 distributed among smaller parties. Not only is there discord within the coalition government, but a constitutional and political legitimacy crisis also seems probable. Such a crisis is likely to continue for the next few months at best; or until the country’s next general elections in 2017. The interparty talks were initiated in June 2014 after the opposition attempted to pass a motion of no confidence on the ABC-led coalition. This resulted in the ABC’s suspension of Parliament for nine months; accusations among the coalition partners that they were courting the main opposition, the DC, with a view to forming a new government; and recommendations from Namibian President Hifikepunye Pohamba. As chair of the Southern African Development Community’s (SADC) Organ on Defence and Security Cooperation, Pohamba has been mediating the coalition impasse. The unravelling of the coalition government and talks to rescue it also takes place in a precarious security context with the escalating tiff between the Lesotho Defence Force (LDF) and the Lesotho Mounted Police Service (LMPS), which some domestic observers believe to be beyond Prime Minister Tom Thabane’s resolve. 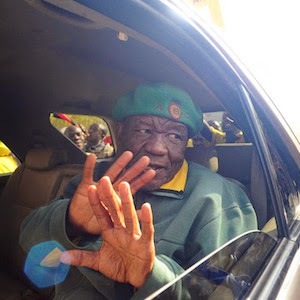 Thabane is also the leader of the ABC-led coalition. The first round of talks was swift, as the three parties adjourned the process so they could consult internally and with their constituencies. The second round of talks was equally precipitous. It resulted in one of the parties, the LCD, submitting draft amendments to the original June 2012 Coalition Agreement. The LDC – specifically its leader, Deputy Prime Minister Mothejoa Metsing has been vocal in expressing dissatisfaction with what is perceived as Prime Minister Thabane’s unilateral decision making in government, which he says is contrary to the June 2012 Coalition Agreement’s provisions and spirit. The amendments to the original document were sent to the ABC and the BNP for consideration ahead of the third round of talks, which were set for last week Thursday, 10 July. The amendments primarily reflect LDC grievances with the ABC, as opposed to overall coalition grievances or challenges of governing. The proposed amendments, among others, call for the current nine months suspension of Parliament to be shortened in order to coincide with the normal parliamentary winter recess, and for Parliament to reopen in September. Other key amendments focus on more equitable allocation of government positions within the existing coalition; halting the transfer of certain portfolios to the office of the prime minister and reviewing the security of tenure and dismissal of officials from key institutions undergirding constitutional democracy. The outcome of the third round of talks remains to be seen. Although political dialogue was intended to be an antidote to coalition fissures, these talks have been accompanied by high levels of mistrust and political outmanoeuvring between the coalition partners have accompanied the talks. Three areas of challenges now lay ahead for the coalition talks. Firstly, an existing agreement, which was signed by the leaders of the DC and LDC on 11 June, ascertains a new alliance between the two parties towards a new coalition government. The agreement, signed a day after the prime minister’s decision to prorogue Parliament, establishes Mosisili as the prime minister and Metsing as his deputy. It also allocates ministerial posts to smaller parties in the opposition – the ‘Congress’ parties, namely, the Basotho Batho Democratic Congress, the Basotho Congress for Democracy and the Lesotho People’s Congress. The agreement raised accusations of double dealing on the part of the LDC and confusion over whether it has truly been rescinded to allow for meaningful coalition strengthening in the interparty talks. Related to this is the seeming olive branch extended to Congress parties in the agreement, which may strengthen solidarity between these parties in Parliament. This solidarity may also nullify the convenience of an alliance with the ABC. The second issue relates to a lack of intra-party consensus regarding their future in the coalition. Noted factions have emerged within the LDC over its DC alliance agreement – with a reported 60% of LDC members opting to remain in the ABC-led coalition. BNP’s commitment to the ABC coalition is further threatened by its probable ideological bias to ‘Congress’ parties like the LDC and the DC. This then relates to the third issue: unresolved differences in political ideology among the coalition partners. Arguably, the coalition was formed more on the basis of political convenience and expediency, as opposed to ideological similarities between the governing parties. This points to the underlying reasons for friction within the coalition, which have also contributed to governance failures in the country. Four scenarios may play out. The first is a total collapse of the ABC led coalition, with the LCD leaning towards alliances with the DC and other ‘Congress’ parties. The second is the review and probable redrafting of the amendments to the original June 2012 Coalition Agreement. This would end the coalition impasse and might result in the ABC rescinding the prorogation. The third is the continuation of the coalition impasse and Parliament prorogation until February 2015. Once Parliament is re-opened, opposition parties would lodge their no-confidence motions against the ABC-led coalition, which may affect its dissolution. The last possibility is an establishment of a government of national unity comprising the country’s major political parties – but with emphasis on the preservation of the prevailing coalition as a foundation. In the end, much will rest on whether the coalition leadership will respond with urgency to legitimate inter-operational issues generally and those concerning the business of governance. Calls for more government stability are being voiced not only within the country, but also from regional and international partners. Equally, calls for rescinding the prorogation of Parliament, as proposed by the LDC, is gaining traction with other political parties. This may lead to new alliances, geared at ousting the ABC. This article was originally published by allAfrica.